& locally sourced lemon pesto. All topped with Saint Kilda Brew Onion ring donuts seasoned with seeded mustard and lemon zest. Now the Saint Kilda Brew worked very well with the bangers, but it’s had a run on these pages before. The Prince Alfred Hotel has a reputation for stocking a couple of eclectics in its fridges and it didn’t disappoint. 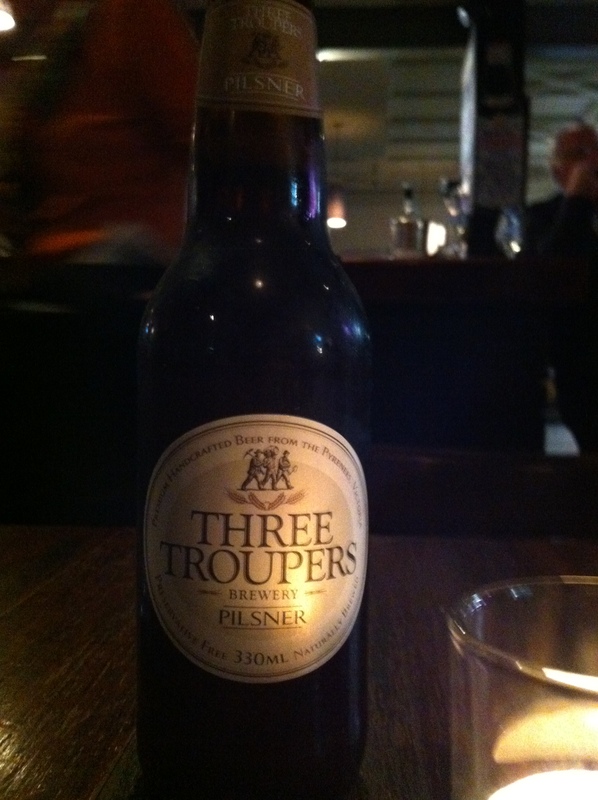 I’ve had other Prickly Moses beer before, but I can safely say that I hadn’t heard of Three Troupers. Two descendants of 3 cousins called Troup, who came to Australia in 1853 for the Victorian goldrush, have set up a brewery named in their honour – Three Troupers Brewery. 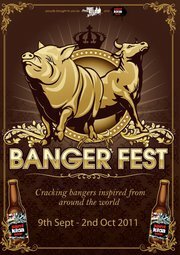 They claim to have in their possession a number of brewing recipes that the three cousins used to make their fortunes in “Liquid gold”, three of which they have brewed and released – Pale Ale, Amber Ale and Pilsner. The Pilsner recipe was apparently inveigled from “a Bohemian Lass” by one of the cousins – a rougish Scottish charmer. This tale has similarities to the story of how the Strickland family obtained a recipe for Pilsner from a German that was working on the Victorian goldfields in the 1850’s. This recipe was used to make 1842 Pilsner, which we’ve discussed previously. Three Troupers Pilsner isn’t too bad. There’s a small amount of spice – it’s definitely a pilsner. I’ll give it another go. Likewise, I’ll be returning to the Prince Alfred Hotel. Another fine Melbourne pub.